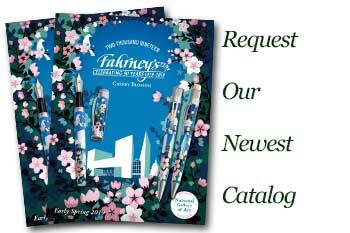 Order your Sheaffer Taranis Ferrari Rollerball Pen today from FahrneysPens.com. Fine Pens, Refills & Luxurious Gifts – great prices & fast shipping. Start your engines - introducing the newest member of the Sheaffer Scuderia Ferrari family! Sheaffer unleashes the Ferrari Taranis with the winning Rosso Corsa red lacquer finish. Designed by the renowned U.S. architect Charles Debbas, the ground-breaking pen named after the Celtic God of Thunder embodies aerodynamic power and sleek style. Taranis features a unique patent-pending grip design that integrates resin with the strength of metal. The chrome-plated front section is deeply etched with 'Scuderia Ferrari'. The elongated clip has an internal spring for great flexibility and firm pocket placement. Sheaffer fans will love the smooth-writing hooded fountain pen nib in stainless steel, twist ball pen and rollerball with removable cap. Each writing instrument is created with the highest level of quality, proudly displaying the Scuderia Ferrari Shield on the clip and the world-renowned Sheaffer White-Dot symbol of excellence. Hearts will race when presented with Rossa Corsa Taranis, packaged in a Ferrari Red luxury gift box.